I am most proud of my dedication to spanish and learning the language. I focussed a lot on vocabulary this year and believe I have done well with this. I did this mainly by creating and studying quizlet sets. Also, I am proud of my general improvements in this class and with the language. I am glad that I was able to keep my grades up, even though the workload went up. Do I consider myself a Spanish-speaker? Why or why not? I do not consider myself a spanish speaker, instead, I say I am a spanish learner. I am more of a spanish reader and writer than a speaker. I might have enough skills for a very basic conversation but there would most likely still be many grammatical mistakes. If I could take this spanish year again I would focus on my speaking and oral skills. I am lacking quite a bit of fluency. Even if I know the vocabulary and conjugation, I forget a lot of this when I speak. I would have also liked to use the time during spanish class to its fullest potential. I believe I already am using it for a lot of development of my skills but I believe I could have done a bit more. What are three concrete actions I can take to ensure that I am prepared for Spanish B next year? As I was struggling with conjugation towards the end of the year. I have decided to focus on this over the summer. I will use sites such as Colby to practice, not just one tense but all of them. I will also not just focus on how to conjugate but also to recognize when to use which tense. Secondly, I would like to focus more on advanced vocabulary. I will look at expressions and transitions beyond the basics and try to form sentences with these. Also, I would like to organize my notes into sections to make them easier to review over the summer. This year was my third year of expeditions (but the first where it was called expeditions). This time I went to Niigata on a hiking trip. The hike itself was 3 days and 2 nights. Here we had to overcome many challenges and learn a lot of new lessons. I learned a lot of practical skills for hiking such as how to put up and take down a tent properly and how to put on a heavy hiking backpack on in the best, most convenient way. However, I also learned a lot about how people behave differently in different environments and how it is important that we don’t always just take the easiest route. The second I learned when the hike split into two paths. One was an easy hike on the road and the other was a steep mountain that had a distance twice as long as the road. My team decided to take the mountain route. The other team decided to take the easy route. Even though my team arrived later than them, we felt accomplished and I got the feeling that the other team ended up regretting taking the easy way out. Another way in which my view changed was when we had to take down our tent. We had to try multiple times to fit all of the tents into the bag but in the end, we always managed. The lesson learned was that even if something seems hopeless and you keep on failing, you can succeed if you just try your best. This was an important lesson to learn, especially for me as this is something I struggle with. We had quite a few challenges during the hike. Not only was the hike a challenge but our group had some issues too. On the last hike, we got split into three groups: the front, the middle, and the back. I was alone in the middle. Eventually, I caught up with the front but we were still in two parts. This then became an even bigger problem because the back people decided to stay at the top of the mountain while we were waiting at the bottom. In the end, we had to go back and split into even more little groups. Finally, we all arrived at camp. I think this was an important lesson to learn. We have to stick together. Soy española. Vosotros quiere saber más sobre comidas españolas.Tan escucha y aprende. Estos son algunos de los ingredientes principales. Jamon Serrano – generalmente sirve en rebanadas o picada de vez en cuando. Paella – un plato con arroz y mariscos o carne. Pruébalo. El desayuno típico suele ser una taza de café con leche acompañada de un croissant o de otros pasteles. Los españoles comen su almuerzo entre 2:00 y 4:00 de la tarde. Por lo que es el comida mas grande de la día el almuerzo tiene varios cursos. El primer plato es pequeño, por ejemplo una ensalada o sopa, mientras el segundo plato es carne o pescado. Un postre puede ser una fruta, flan, pasteles dulces o una torta. En España cena es tradicionalmente algo más ligero como una ensalada, un sándwich o tapas. Los españoles cenan debido a la temperatura en verano. Generalmente comienza entre 9:00 y 11:00 de la tarde. En España “tipping” es voluntaria pero parece grosero cuando no lo hacen. Generalmente dejas una punta entre 5 y 10% después de una comida. With his sea blue eyes and perfect jawline Romeo Montague has every young girls heart. However he crushed all their dreams yesterday when he proposed to his love Juliet Capulet. If you haven’t heard about this yet it might come as a shock. A Capulet and Montague together? Well it is true and we have the master right here. Q: So. 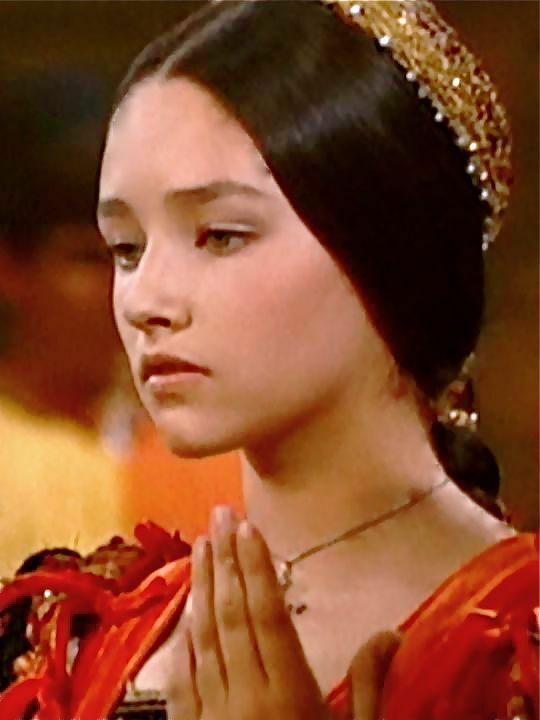 Juliet is the daughter of your one sworn enemy. How did you feel when you first found out? A: It was a shock, of course, but every time I see her I quickly forget. She is so magnificent, I don’t even understand how she could be the daughter of that family. I would honestly do anything to change the families we were born into. It would make everything so much easier. Q: That must be hard. Who do you talk to when something worries yo u like that? 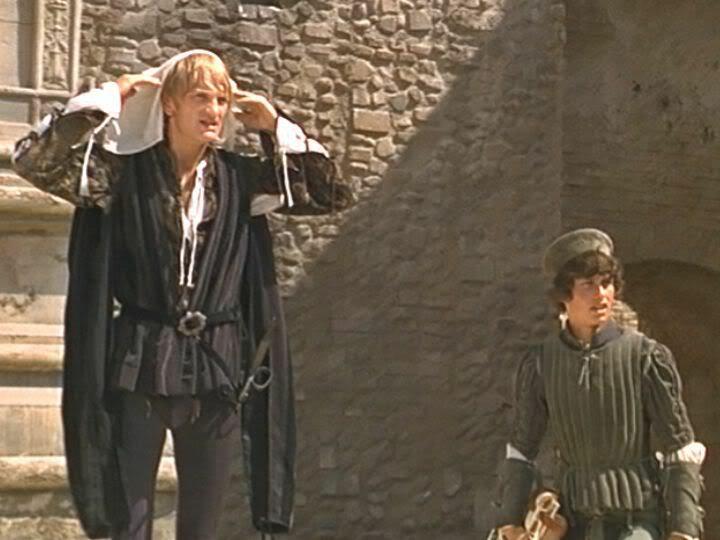 A: Usually I just talk to my best friend Mercutio or my cousin Benvolio. They’re easy to talk to and don’t judge me when I show emotions. If I told my parents about my problems they wouldn’t understand and judge my manliness. I don’t want that. Q: Well its always good to have someone you can talk to. Do you think you will be able to talk to Juliet that way someday? A: Maybe someday, especially once we’re married. We’ll be spending so much time together she will naturally see me when I struggle with a problem. I already trust her and I think that this trust will only continue growing. Q: Cute. So, what’s it like to have to start planning your wedding with Juliet? A: It’s surprisingly fun. Our major concern lies with our families. We are not sure of we are going to invite them as that would probably just end in a giant argument. However I still want it to be perfect for Juliet. Q: Aw. That is so sweet. Can you already give us any sneak peaks of what it might look like? A: Currently we are planning to have a small wedding in the local church. I know the pastor and have already asked him to bless our marriage. He said yes and has already made sure that there will be roses everywhere, as those are Juliet’s favorite flower. Q: That sounds perfect. I’m sure Juliet will love it. Do you already know where you’ll be going for your honey moon? A: We are planning to go to Hawaii for a little getaway. You know, get a bit of sunshine and beach. We just need some time to get away from the family stress. Q: Yah. I see how that could be stressful. Do you have any advice for people going through something similar to you? A: First of all, I hope no one is going through anything similar to me but my advice for anyone in a stressful situation is “Don’t lose your mind. It is going to be ok.” I’d also suggest making a list of steps you have to take to achieve your goal. It has always helped me. Also try relaxing. Watching the sunset at the beach whilst writing poems is one of my personal favorites. Q: That is some great advice. Now lets get ask some more personal questions. Romeo, what is your biggest fear? A: It might be a surprise but I am incredibly scared of disappointment. It doesn’t have a specific back story, I’ve just always been scared of being let down but I know I don’t have to be scared of this with Juliet. Q: But before you knew Juliet you were still fast to fall in love with her. How come? She is just so special. I love her with all of my heart. I can wait to marry her. Click here to read 10 Amazing Facts You Will Never Believe About Romeo Montague!!!!! What participios are and how you use them. I actually learned a lot of historical information during this Unit which really shows that we are now transitioning between learning the language and learning the history of the countries. The difference between the preterit and the imperfect. I now mostly know when to use which one and I am capable of using both in my writing. Which cultures specifically focused on story telling, maybe even did it as a daily ritual/routine? Is it somehow related to bedtime stories that parents tell their children nowadays? What is the use of the present perfect? When do you use it? Did people used to use legends to learn about ‘history’ or why did people start telling each other stories? I am proud of my writing during this unit. It was a lot easier for me to use my own words rather than translations. My fluency and confidence in speaking spanish improved quite a bit. I am still no where near speaking without errors but I have managed to improve it a bit. To improve my studying habits. This was something i was good at in the first unit but during this unit I stopped doing this. I would like to restart this habit. Expanding my vocabulary by adding all of the new vocal to my quizlet and using it to study. Doing extra curricular activities so that continuing to learn becomes less challenging.